We Are Open 24/7. Call Us Now! 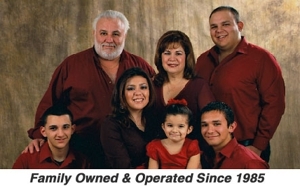 Colair, Inc. is a family-owned and -operated business offering exceptional services in Mission and the surrounding area. We help you enjoy a cozy and comfortable environment in your home and office. Our experts specialize in providing HVAC system and refrigeration system installation and repair services at affordable rates. We have the expertise in servicing all makes and models. Whether you are looking for AC system installation or repair services, Colair, Inc. is the smart choice for you. Our professionals are available 24 hours a day and provide hassle-free services that best suit your heating and cooling needs. At Colair, Inc., we strive to deliver the desired results and ensure complete customer satisfaction. Copyright © 2018 colairinctx.com All rights reserved.